Are you, your club or dealership working some super, extra NOT NORMAL something something for MTTS? Want to make sure as many people as possible know about it? Check this out! >It’s no secret that the MINI Community is what makes MINI TAKES THE STATES so much fun. Our car club enthusiasts and local MINI dealers are a very important part of making this event a success. 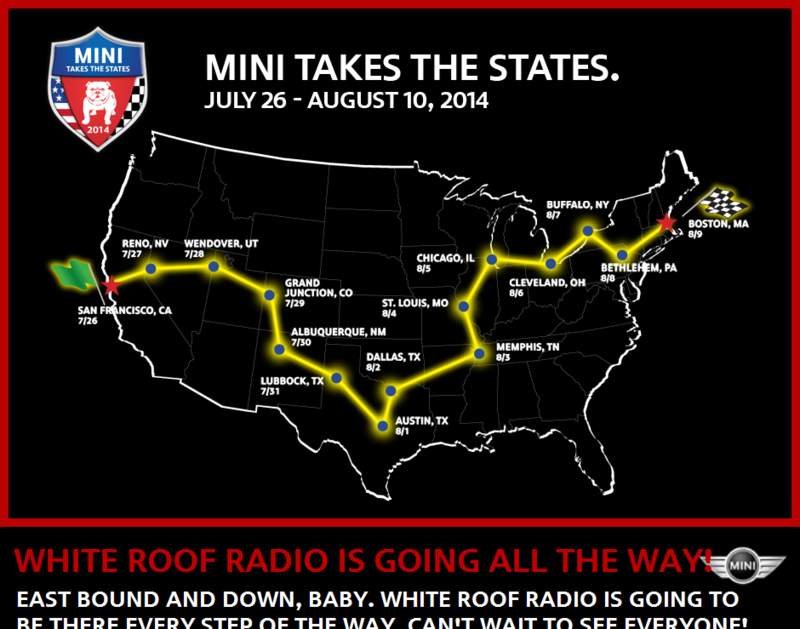 Similar to past MTTS events, all the clubs and dealers across the United States will have the opportunity to participate in MINI TAKES THE STATES and to promote it from within and to their members/owners. >If your local MINI Club or Dealership is planning a local event or is planning to rally to a MTTS route stop via a feeder route, let us know by clicking on the link below and sending us your information. We’ll then post it on our website so that other MOTORISTS can stay informed. Please note that all submissions are subject to review and editing. Once approved, they will be listed on the MTTS Web site under the ‘Rally’ page within the ‘Dealer & Club’ tab, in chronological order. >Using the link directly below tell us what your club’s rally or pre-event plans are for your city. If you are working with a local dealer, let us know. There you’ll find a link to a form where you can submit your details directly to us. Please include as many details as possible, as we intend to post your club’s and/or dealer info as details are confirmed. Click this link to get that information over to MINIUSA!